2008 Fair Big Plot (Monster Mix) remarkably healthy and thick. 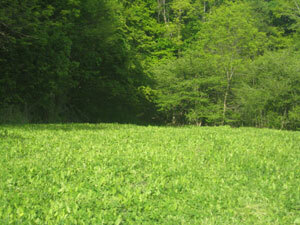 We need to plow and plant clover again. Long Term Remarks - I am extremely impressed with the longevity and healthy growth of the Tecomate Monster Mix. 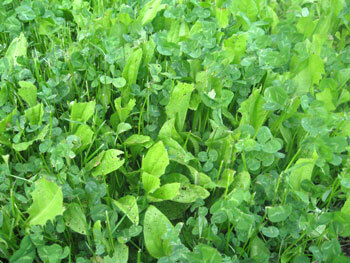 The downside is the deer will choose the small plot (Imperial Clover) 3/1 over the Tecomate plot. However after 10 years of planting these plots, the Imperial product longevity is rarely more than 2 seasons and not well suited for smaller plots. With the consistent growth of the Tecomate plot since we planted it in 2004 we have not run our Food Plot feature in a few years. We decided to give all of you and update on where it stands in 2008 (still going strong) and our long term results on deer usage after hunting here for the last few years. We will be tracking the results throughout 2008 leading to a deer hunt in October. Our first check up of 2008 shows great results still, quite amazing really, no bare spots, very few weeds, and thick - lush growth. What is even more remarkable is that we totally neglected the plot in 06 and 07. 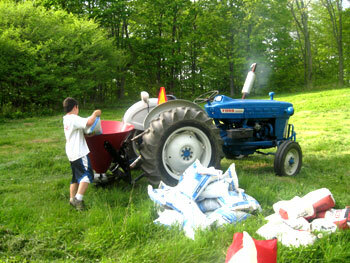 No lime or fertilizer was applied since 2005. 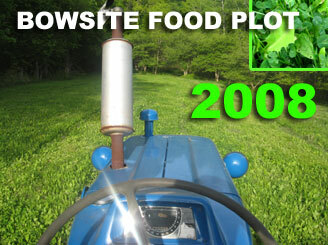 Big Plot - because of the lush, healthy growth now 4 years in a row, we simply mowed, limed and fertilized it. Nothing more. 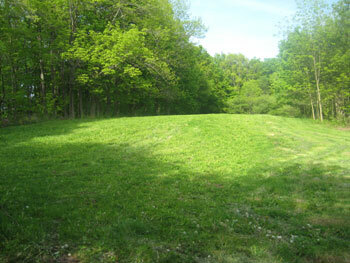 The Imperial Whitetail Clover Plot is gone, we got 2 years out of it before it was choked out by weeds and grasses. It was heavily utilized by deer. 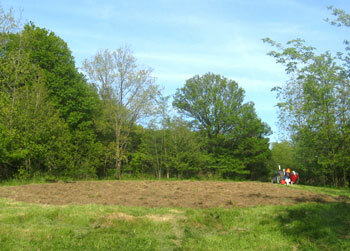 We plowed the small plot under then disked it. 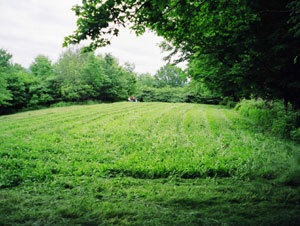 This plot is small, about an acre. 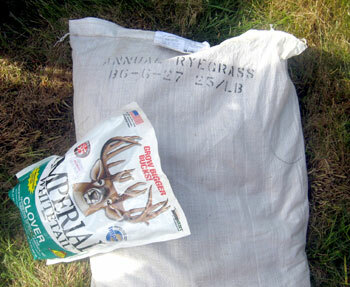 We planted Imperial Whitetail Clover Again mixed with Annual Ryegrass for cover. 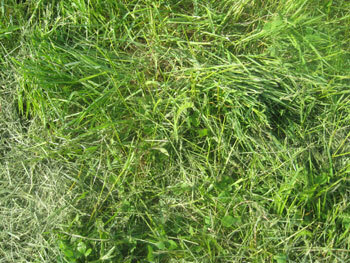 Both plots were limed and fertilized with 5-20-20. We did not do a soil test, but our experience has shown good results with 1000 lbs per acre of lime and 200lbs per acre of fertilizer.